You must be 25 years old to rent this house! 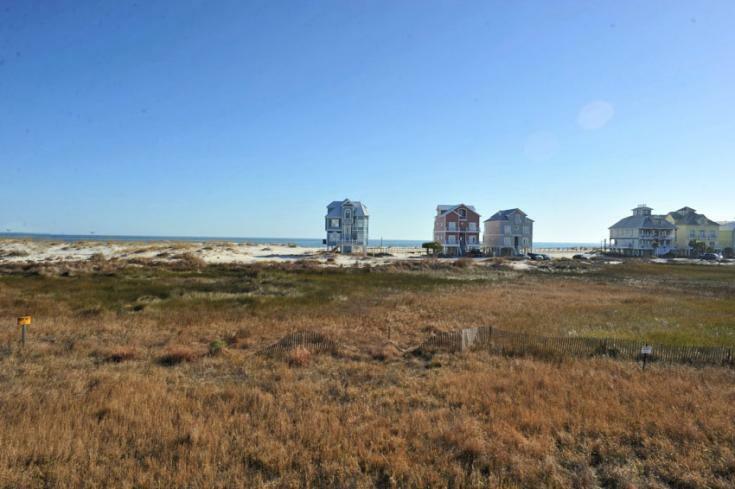 This home is located in Ft. Morgan only 18 miles West of Gulf Shores. It offers the complete Island experience. 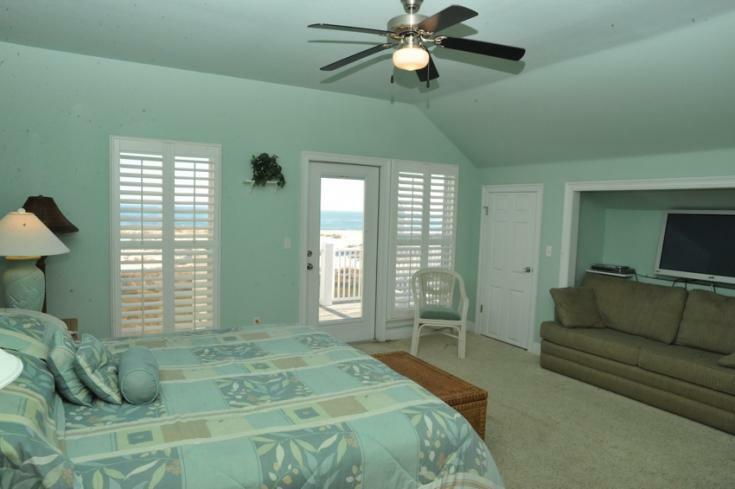 Enjoy the tranquility of the ocean with awesome views from one of several decks. Free wireless internet access.The home has 3250 Sq. Ft. with three levels which provide plenty of space for family and friends to gather. The large, open floor plan allows everyone to eat play and relax together comfortably. Head off to the nearby historic Ft. Morgan for a very interesting day in the lives of the solders that served in the Civil War. 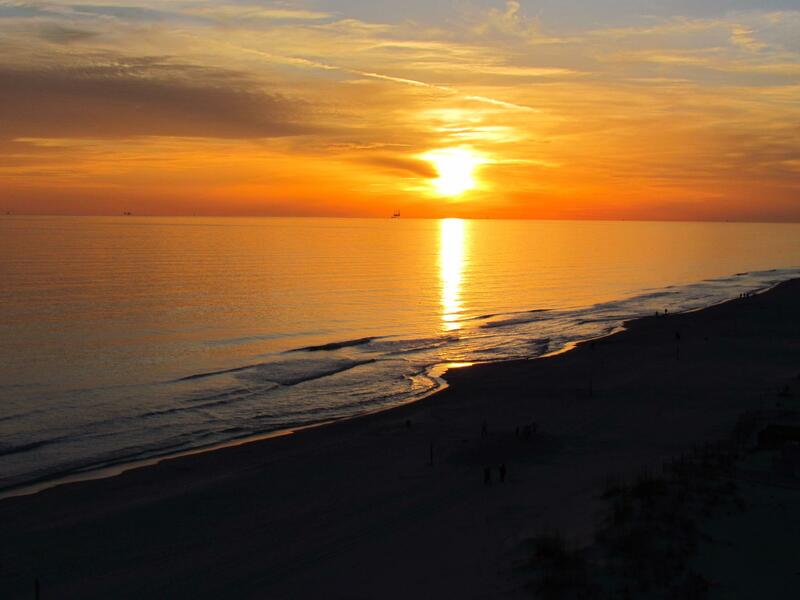 You can also explore the beach; watch the dolphins play or head across the street to Gulf Shores Marina for fresh seafood a cold drink and the most beautiful sunset in the world. The vacation your family spends in this home will be the one everyone remembers for years to come. This house rents only Saturday to Saturday during the Summer and you are looking for a Fall or winter getaway and need a shorter stay, please e-mail us or call us at. 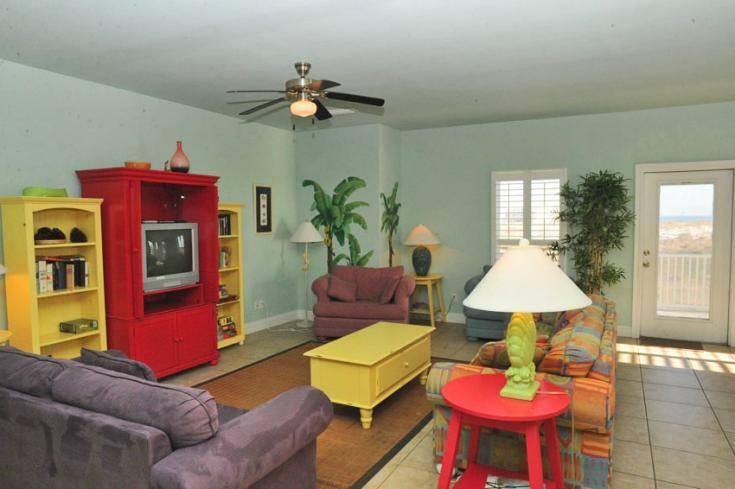 "The house was in a perfect location..located about 25 minutes west of Gulf Shores. The little street was perfect because we had multiple families and the ballteam staying with us and the houses surrounding us. It was about two blocks from the beach. The house was clean but the beds were a little hard and uncomfortable. The bedroom TVs were old and our’s in our bedroom didn’t have sound. It has two refrigerators and plenty of seating for big meals. 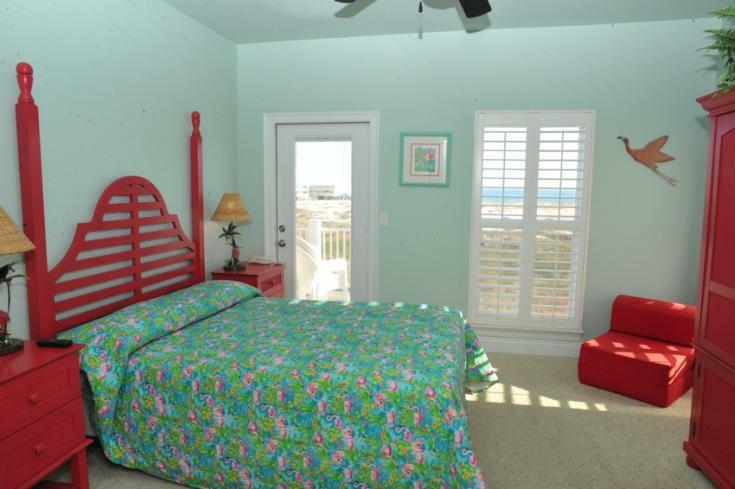 We have stayed in multiple condos and beach houses and this one was pretty nice. We had a problem with a toilet handle, called the property manager and someone was sent to fix it in less than 30 minutes. " "Thank you, Debbie, for the review of your stay in Sundown! I am so glad that this home was a good match for your family and fellow team members! We would love to book your next trip, so give us a call when you need a beach getaway!" "We had a very good time and any maintenance needed was taken care of right away." "Thank you so much for leaving a review of your stay in Sundown! I'm glad that you enjoyed your time here. When you get ready to come back, give us a call!" "Great house for large group. Near the beach and pool"
"I am glad that you enjoyed your stay at Sundown! Call us when you are ready to come back down!" 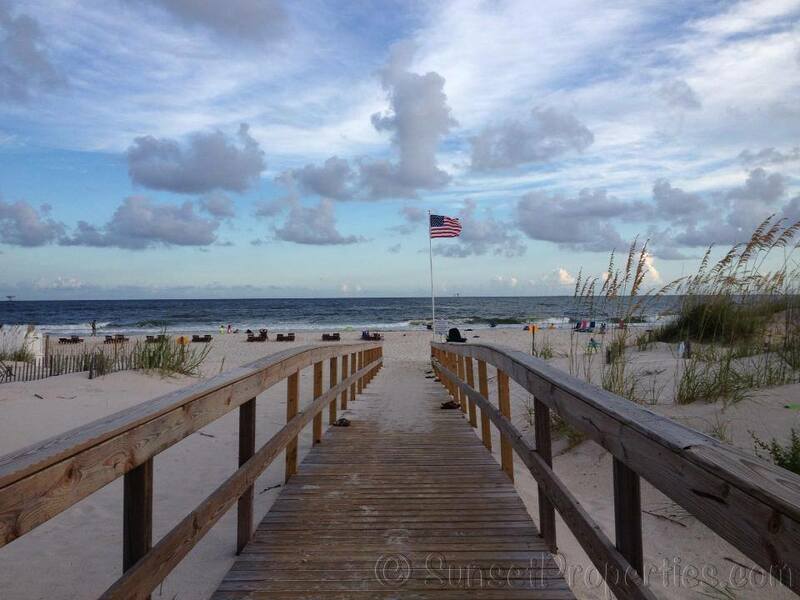 "Our family had all the room we needed to veg out with beautiful beaches to walk and play on. It was a great experience." "Thank you so much for taking time to write a review! So glad you enjoyed your stay, we agree, it IS a great place to stay!" "Home is in a great location....very convenient for us and a lot of room, but the home is a bit "tired"....a/c didn't keep us very cool and lots of stuff just worn out." 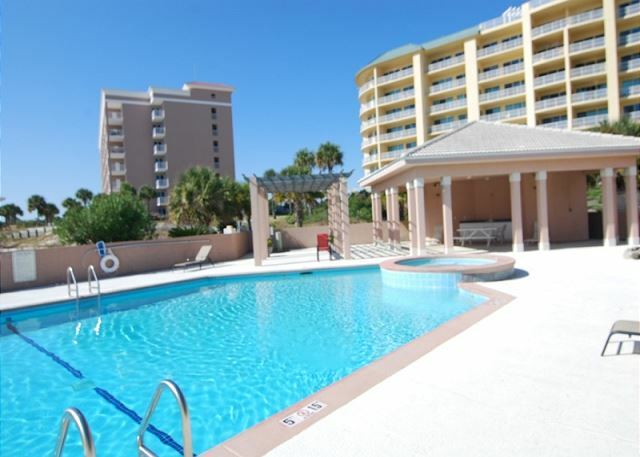 "Thank you for taking time to write a review for us, it is truly a great location out here! " "We loved staying at the sundown for our vacation. The house was clean, the beds were comfortable, and everything we could have needed was provided. We have a large family and there was more than enough room for all of us to spread out. And the ocean views were amazing! I would suggest to anyone staying here with small children to bring baby gates. There a lot of stairs. " "Whoop whoop!! So glad you enjoyed the house and your stay! This is such a great area to visit, hope to see you again real soon!" "We loved the house and the location. We had a great time and hope to return. " "YAY!! So very glad you enjoyed your stay with us! We hope you'll come back soon!" "A nice large home that allowed our family to gather for spring break. The sunset staff always make us feel welcome. The few items that required attention were quickly taken care of. The house is a quick walk to the pool and to the beach. Perfect for families with younger children!" "Whoop! Whoop! Always glad to hear that you feel welcome, we mean it, love having you come down!" "The mattress in the master bed room was awful, was almost impossible to sleep on. The property could have been cleaner, the pull out sofa still had sand and a sippy cup in it. You shouldn't advertise 6 TV's when you can only use 3 at a time. But that being said, the property was spacious and we loved the ice maker." "A really great time was had by all. everyone had a great time"
"We just returned from a great week. We had 16 people and enjoyed our stay at the Sindown. The house accommodated all of us perfectly. Disappointed that the hot tub at the pool was green all week. Other than than great vacation. The carpet in the house should be replaced with tile. It's filled with sand which is to be expected at the beach. " "We were very satisfied with the amount of space. We had two very minor maintenance issues, but they were taken care of very quickly. I highly recommend Sundown. " "We had a simply marvelous stay. We love Fort Morgan. We have come to the area for years. It is our family destination. Sundown was the perfect fit for our needs and we are happy with everything. " "The rental we stayed at had plenty of room and everything we needed to have a wonderful time the only complaints I have are the WiFi did not work and it is about 17 miles from town but the view was great and the beach was nice and clean"
"We are a large family and we have a brother who also has a large family. We wanted a family get-away experience at the beach where we could be together yet spread out and feel safe. We have been getting togehter on Labor Day Weekend in this neighborhood for eight years. 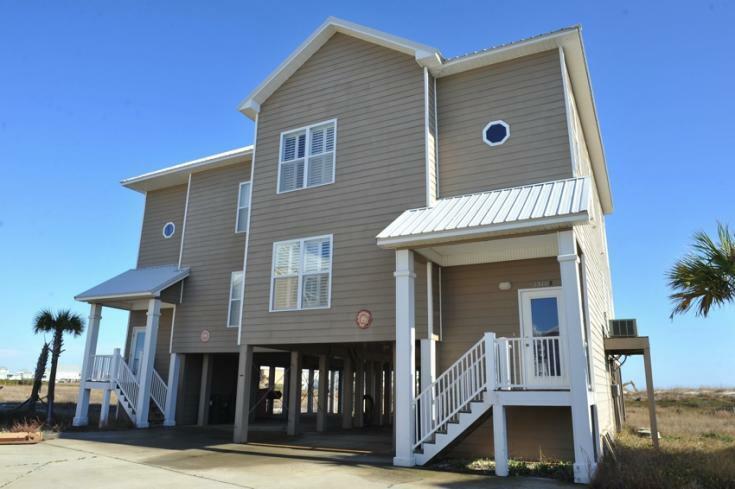 While the house is not directly on the water, the beach is an easy two block walk, plus we had use of the community pool & hot tub which were clean & well maintained. The houses are located in a small neighborhood which helped our sense of security. 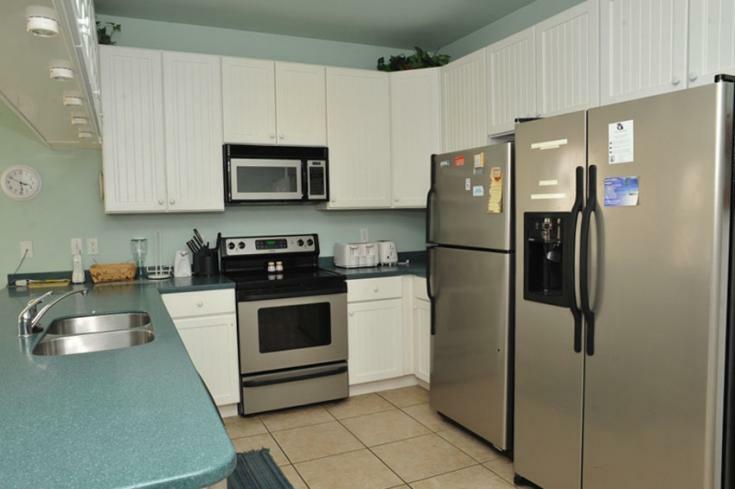 The kitchen has two refrigerators and an ice maker. The living room furnishings and kitchen supplies (pots/pans/dishes/small appliances & cooking utensils)in this house are all old and need to be replaced. But we made do with what was there plus brought some of our own kitchen things. There is a small outdoor grill but it needs major cleaning every time we go. 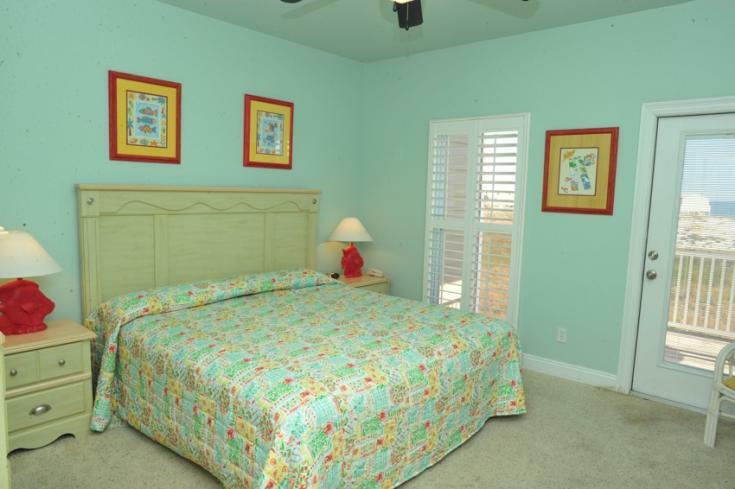 The location is perfect for families who want to get away from the crowded beaches, restaurants and attractions. The staff at Sunset Properties, including the office personnel and the maintenance people were wonderful and responded promptly to our calls. All in all, we had a wonderful time and have already booked for next year. " "Thank you for taking the time review this property. We are so glad you and your family enjoyed this property again this year. We have let the owners know of the needed updates. We look forward to seeing your family again in the future! Sincerely, The Sunset Properties Staff "
"Great place well maintained, great view from the back deck, liked the nearness to the beach and the pool. Overall great place." 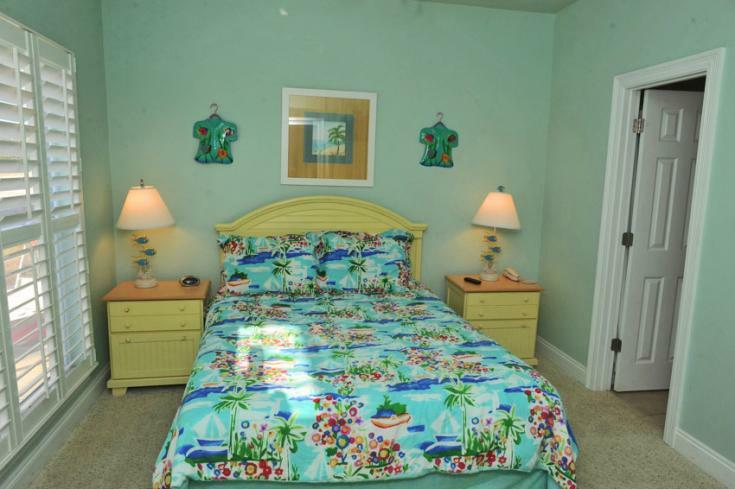 "Than you for taking the time to review this property and your stay. We are so glad to hear you and your family had such a wonderful time. Don't forget if you book before January 1, 2015 you can book for the same rate as 2014! We hope to see you again next year. Sincerely, The Sunset Properties Staff "
"Eighteen of our family came together at the Sundown for a one week get together. This house was a perfect size with ample sleeping space and number of baths. The folks at Sunset Properties were extremely service oriented!" "Thank you for taking time to write a review of your stay with us in Sundown. So happy that the house was perfect for your extended family of 18 and that your stay was everything you hoped for. We, at Sunset Properties, try to provide everything our guest need to make their stay perfect. Please call us agin soon to book your next vacation! Sincerely, Sunset Properties Staff"
"Our large family really enjoyed our stay. We had plenty of room to play games, watch movies, and just relax. We would definitely consider coming back year after year. " "Thank you for taking the time to write a review. We are so glad you and your family enjoyed "Sundown". It is absolutely a wonderful property for large families, plenty of space for everybody to enjoy! We hope you will make this an annual vacation spot and we look forward to booking your next visit! Keep an eye on our website and social media sites for future specials and up coming events in our area. Sincerely, Sunset Properties Staff"
"Maybe because it was early in the season, but I think it would be a good idea to leave or have on hand some basic condiments, like salt & pepper, cooking oil, ketchup, etc. In some of the houses that I have rented, the kitchen was totally supplied. I would suggest that the cleaning people leave whatever non perishable condiments were left by the previous renters. Also, the management company should have plenty of paper towels, trash bags, and toilet paper at the property. There should also be dish washing and dish washer liquid on the property." "Thank you for taking the time to review this property and your stay. It is great to hear you had such a wonderful time at this property. By offering a confirmation letter, a what to bring video, and a free App to download with all of this information for our guest we hope they know what to expect and what to bring when they come to one of the Sunset Properties rentals. There is only a starter pack of dishwasher powder and a single trash bag in each trash can and a roll of toilet paper in each bath. So those are items are things that you definitely need to bring along when you come. This is simply to cut costs for guests in each spot we can. For the safety of the guest we do not leave any condiments. Thank you for taking the time to write this review and we do hope to see you and your family again in the future. Sincerely, The Sunset Properties Staff "
"The property was perfect for all three of our very different families. Lots of kids (all ages) running around with plenty to do while we stayed in Gulf Shores. Everyone had a blast." "Thank you for taking the time to write a review! We are so glad you enjoyed your stay with us and hope to see you again soon! Keep an eye on our website and social media sites for future specials. Sincerely, Sunset Properties Staff"
"The house was wonderful for a large group - lots of spaces to gather as a group or escape alone. Area very family friendly - kids could ride bikes and walk to beach. Your legs will be in shape when you leave - home does not have elevator and also needs a bit of maintenance and upgrades. " "We are so excited to hear that you had a wonderful time. This is a fantastic place to stay for families and we are so glad you got to experience so much fun with your entire group. We look forward to seein gyou again very soon! sincerely, The Sunset Properties Staff"